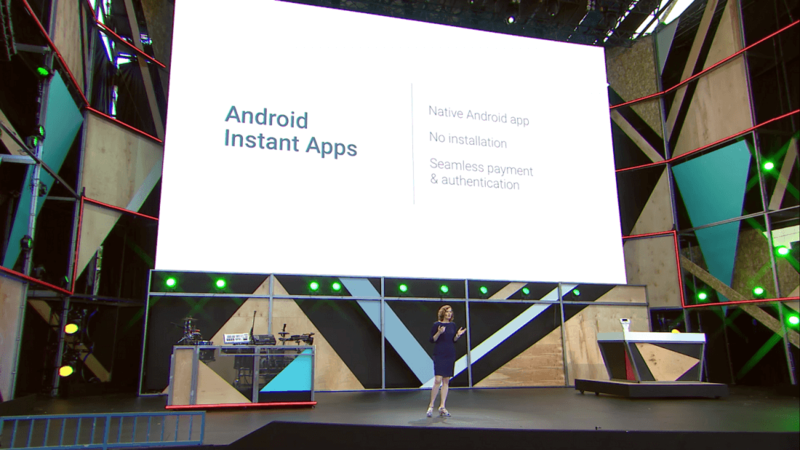 During its annual I/O developers’ conference last year, one of the more interesting announcements to come from Google was the Instant Apps feature, which allows users to run certain parts of Android apps even when they aren’t installed on their smartphones. Instant Apps are like smaller versions of native Android apps that run instantly when you tap their URL, no installation needed. Once it’s closed, the app disappears from your phone leaving no icons on the home screen - though it does stay in your cache for a few hours in case you want to open the link again. Now, Google has announced it is now opening up “a few” Instant Apps for limited testing. The company is looking to collect user feedback on a selection of applications from the likes of Buzzfeed, Wish, Periscope, and Viki. "By collecting user feedback and iterating on the product, we’ll be able to expand the experience to more apps and more users," writes Google Play software engineer Aurash Mahbod in a blog post. Instant Apps are useful for those applications you intend on using just the one time, like transit apps for cities you’re only visiting once. Instead of having to download and eventually delete them, you can quickly and easily use their functions without visiting the Play Store. It’s also a good way of checking out parts of an app before deciding whether to install the whole thing.